This has to be generous and legal as it relates to some absolutely different system. 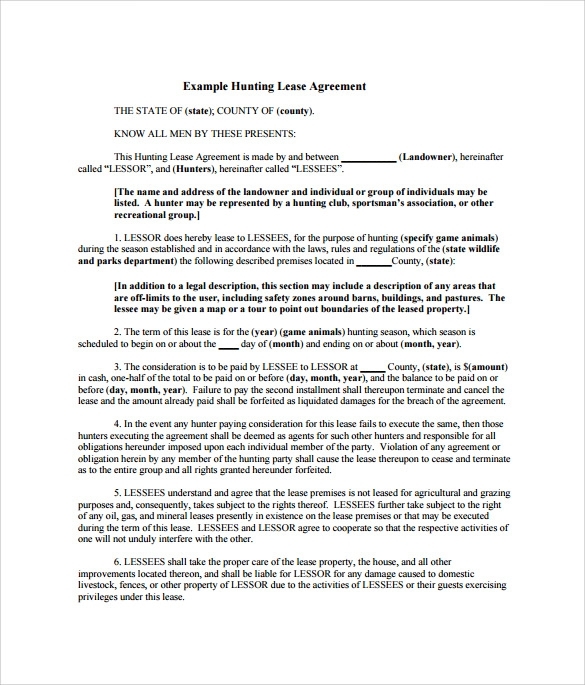 All the terms and conditions should be abided by the tenants accordingly. 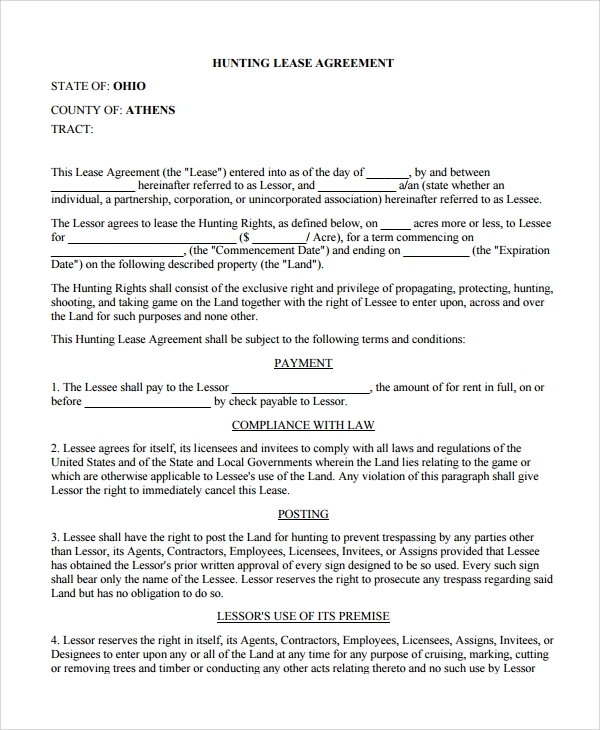 A lessee should approve a tenant after watching all the legal documents related to hunting. 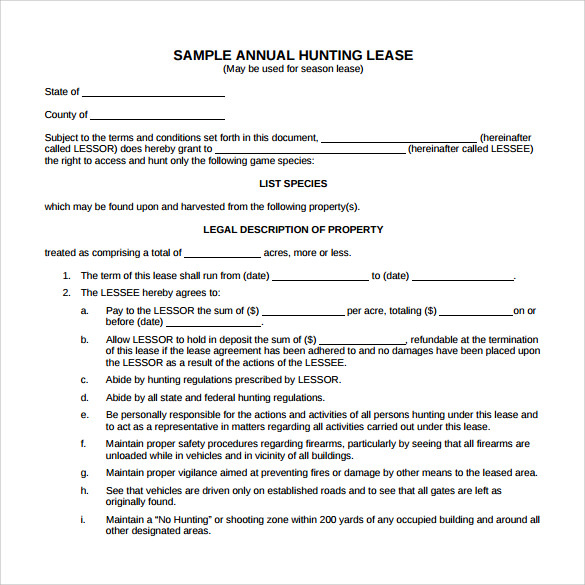 To get a perfect hunting tenant you should have a prominent template regarding hunting Lease Agreement. Our templates experts crafted amazing templates after having a huge thought and experiments to fetch genuine hunting tenants for you. 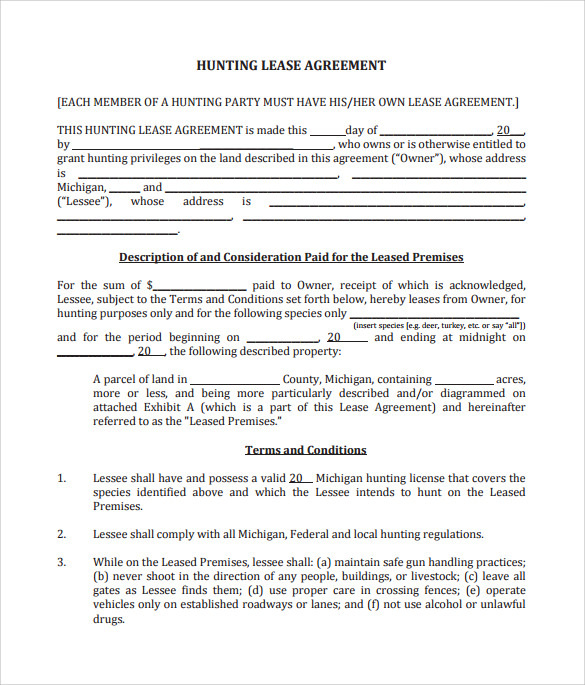 The Hunting Lease Agreement Templates for Farms is ideal for farm owners or people who own a large ecological space to help them create professional hunting lease documents. 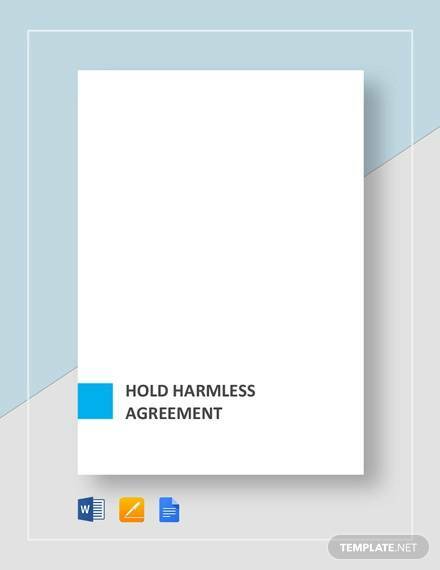 These templates can be reviewed by both hunters and landowners to avoid any legal action. 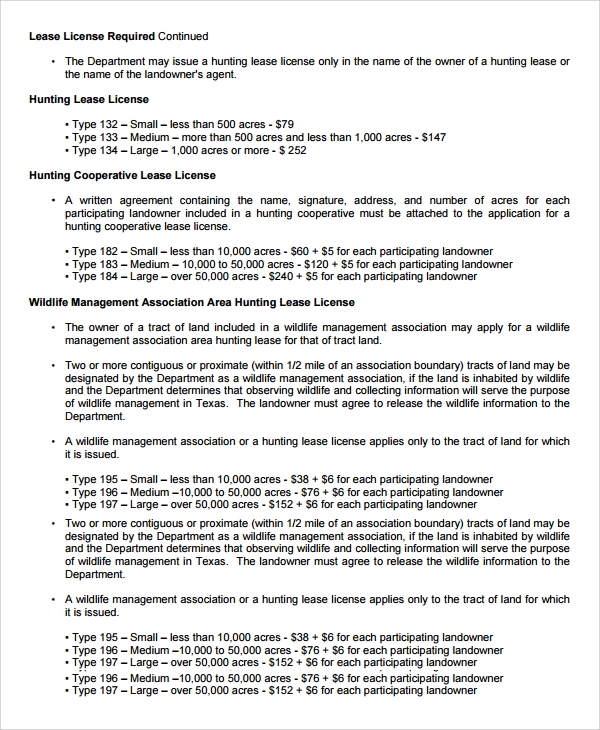 The Hunting Lease Agreement Template for Wildlife Management is one of the most common tools for helping you to manage wildlife and wild parks with comfort. 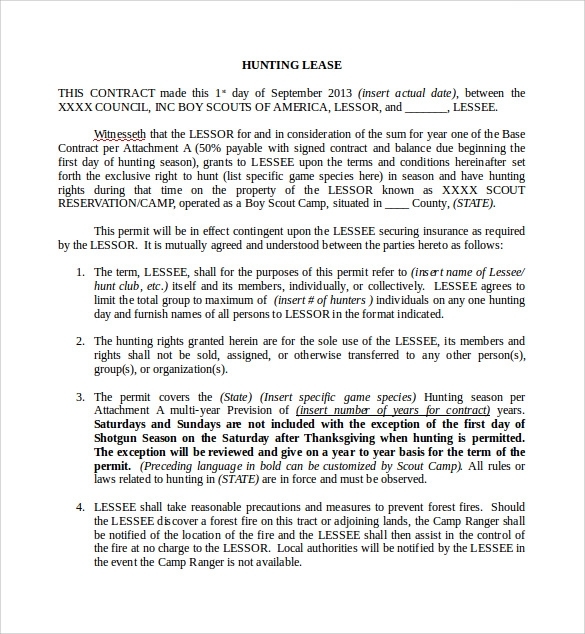 The template describes various duties and responsibilities that the hunter will require confirming at the time of deal. 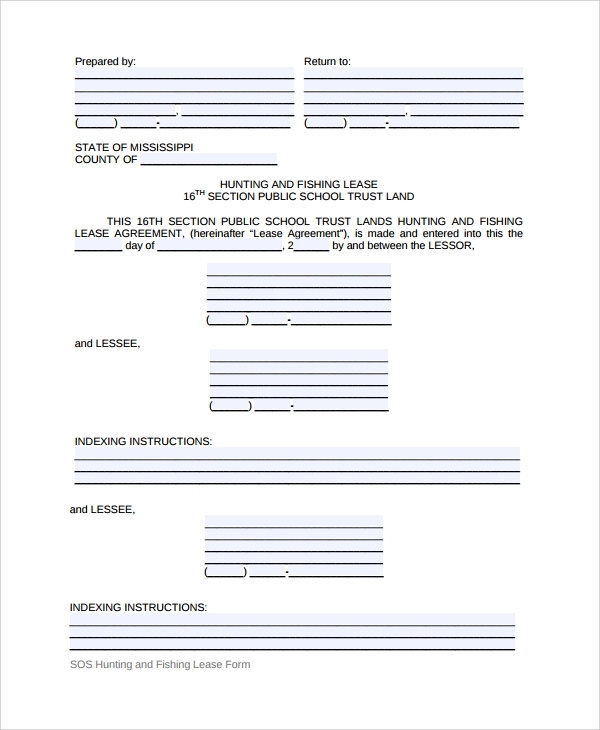 As the name suggests, the Hunting and Fishing Lease Agreement Template is ideal for landowners managing wild parks or ponds. 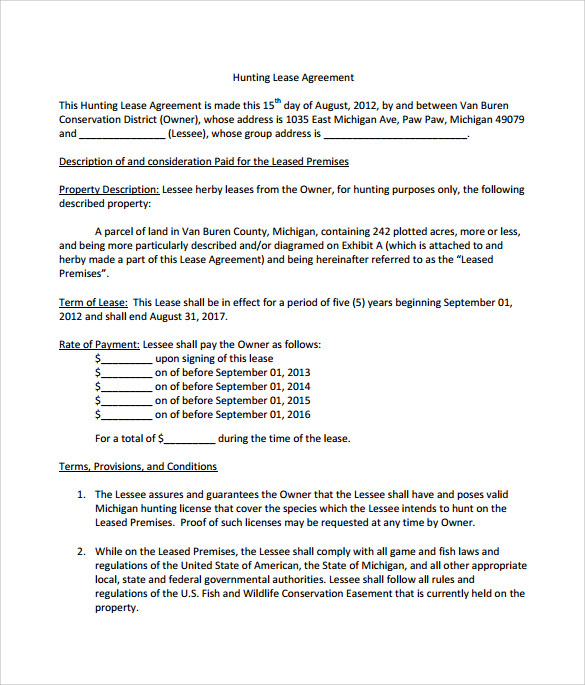 These templates can assist hunters and landowners to sign a detailed deal that contains hunting terms and conditions. 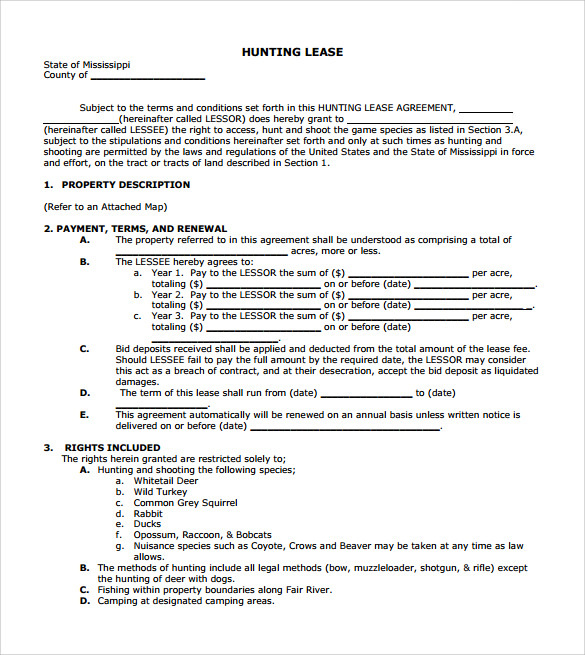 The Hunting Rental and Lease Form Template can be used to create, draft, share, and sign a detailed hunting agreement document between a hunting professional and landowner. 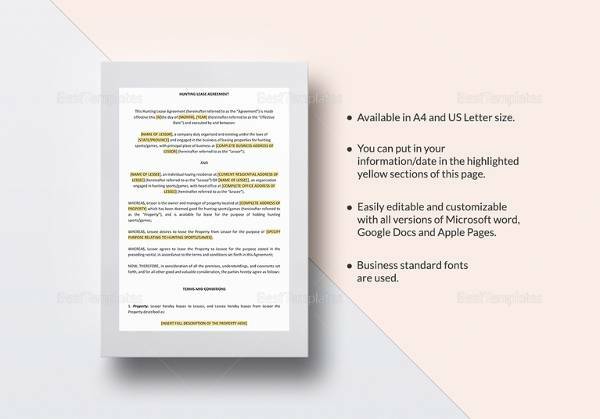 These templates can be customized to mention all the terms and conditions that may ensure required action in case of any violation. What Does These Templates Usually Contains? You can also customise them to file your insurance papers or to describe the lease owner about the property details. 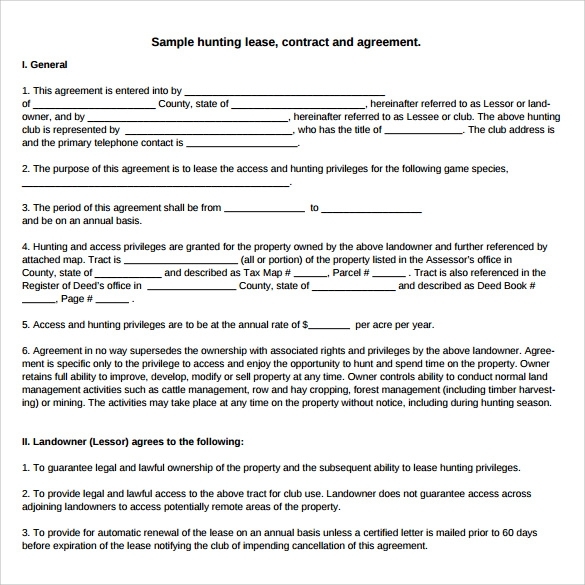 You can edit and modify these templates to provide hunters the ability to get engaged in hunting activities on privately owned properties.